Welcome to Fair Oaks Tree Services. 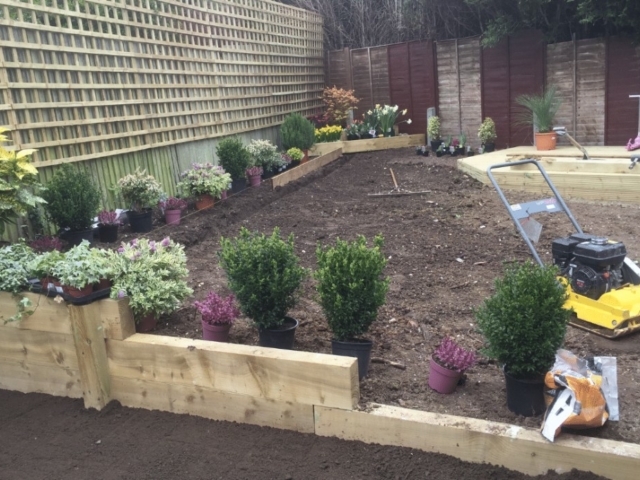 We provide affordable, professional and high-quality landscaping and garden services throughout Epsom, Ewell and the wider areas of Surrey. 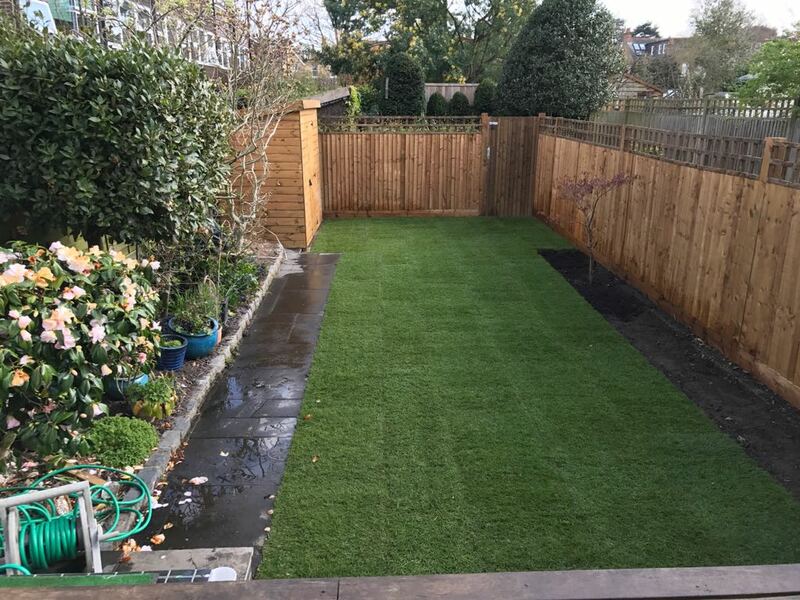 We offer a complete service, from garden design, through to construction and maintenance and take on projects of all shapes and sizes! We are passionate about creating beautiful and practical outdoor spaces. 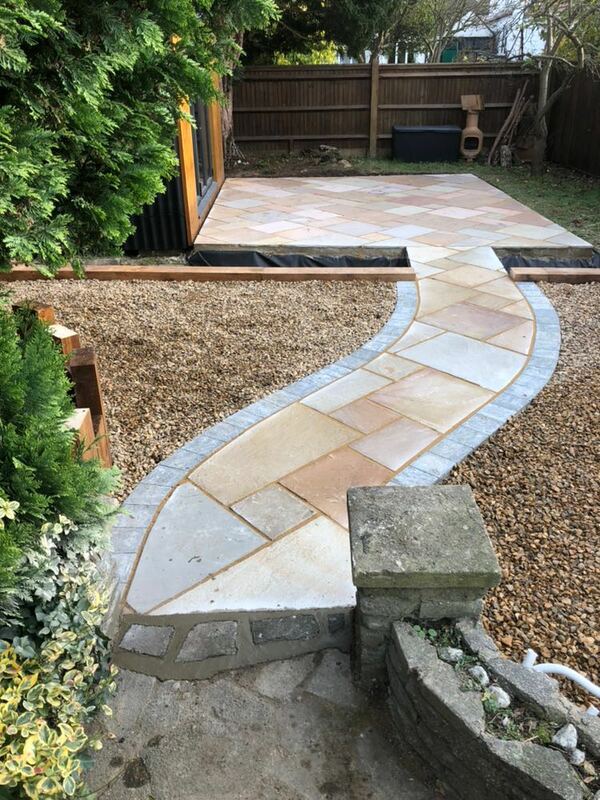 Whether our clients ask for a new patio or lawn or a completely landscaped garden or commercial premises, we have the knowledge, skill and expertise to complete the job to the highest standards. 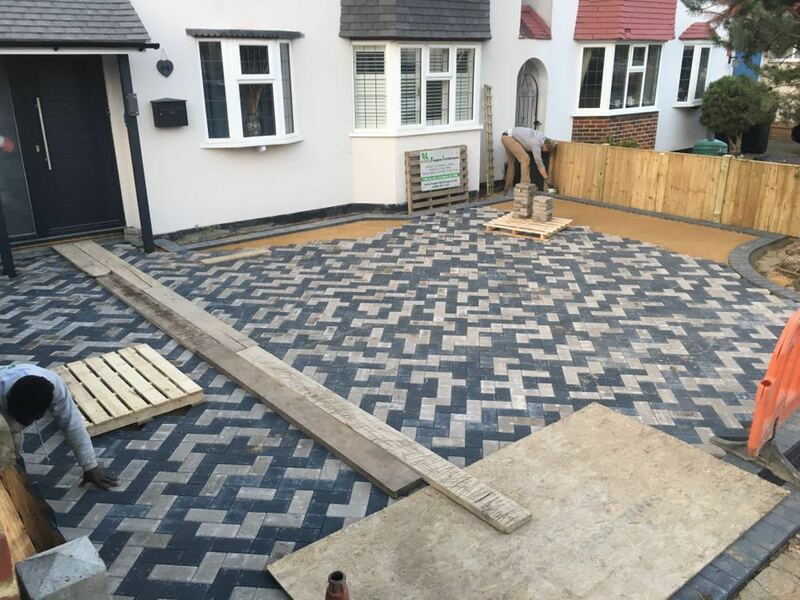 We are committed to exceptional standards of workmanship with a keen eye for detail, so we can turn our clients’ garden dreams into reality. 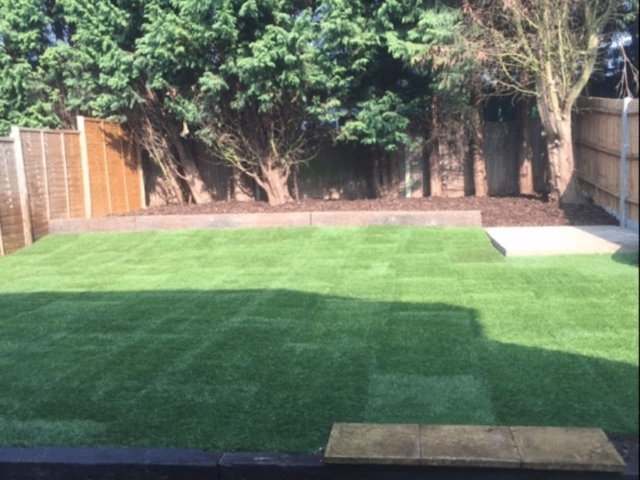 We provide professional turf and lawn laying services, from private gardens, through to larger-scale commercial installations. Nothing beats the look and feel of real grass and we can provide high-quality seeding and turfing solutions all year round. 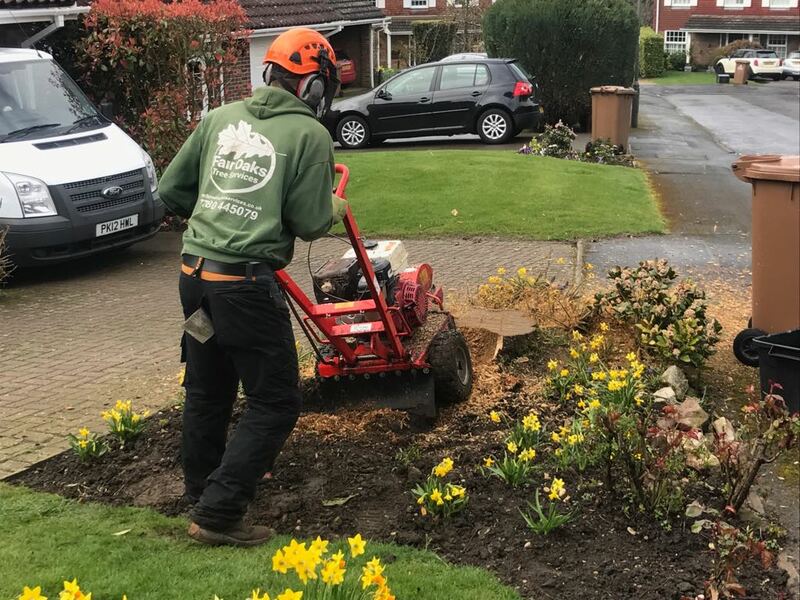 From preparing the ground and clearing away old turf, through to supplying, laying and maintaining a new lawn, we can help to give your garden a completely new lease of life. Our expert team of landscapers will work closely with you to ensure we provide you with the best quality lawn, which you can enjoy all year round. 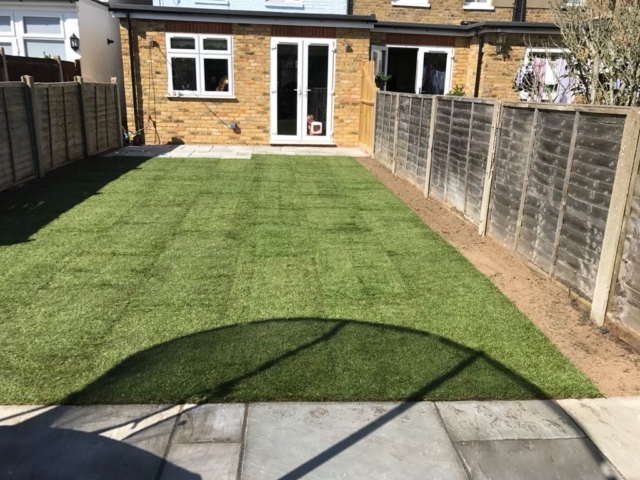 If you love the look of real grass but simply don’t have the time or energy to maintain a lawn, we can also supply and lay artificial turfing and lawn for all different uses. This will provide you with the same look but your grass will be immune to disease, scorching and will require absolutely no maintenance. We love the process of visiting potential clients to discuss their needs and vision. 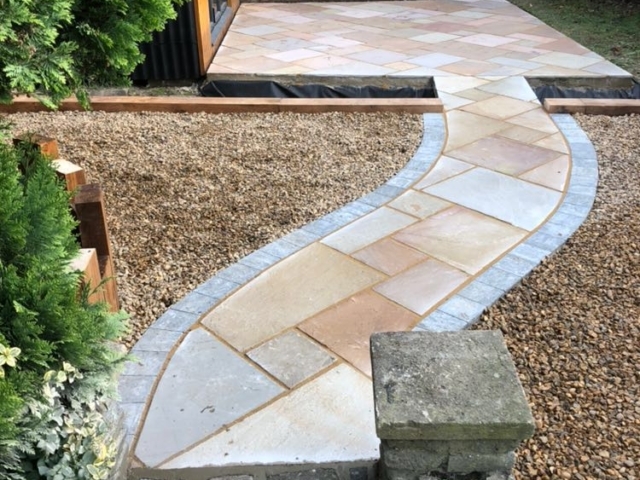 We take those ideas and combine them with our professional knowledge and experience to create bespoke garden designs tailored around their individual taste and style. We offer design ideas as well as sound advice and realistic suggestions according to your budget. 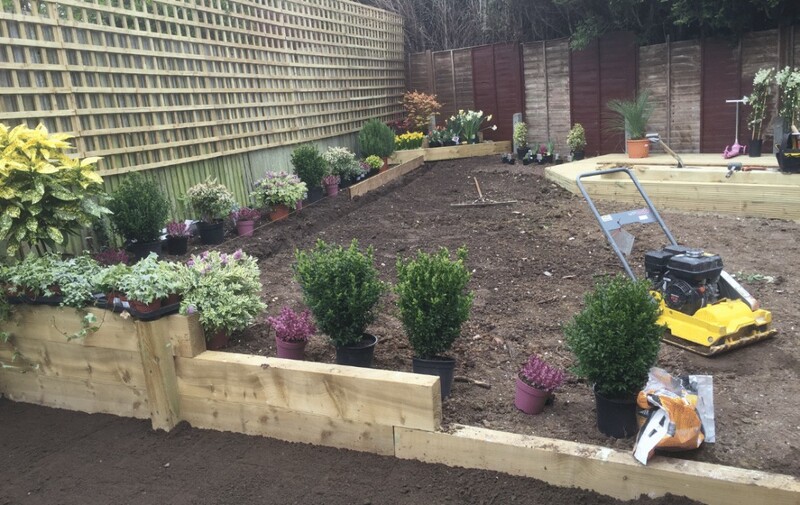 Whether you are looking for a complete landscape transformation or simply the re-design of a small area, we would be delighted to help. Landscaping is a broad term used for the construction of both soft and hard features in a garden or other outdoor space. We know that the outside of your home or commercial property should look every bit as eye-catching and appealing as the interior space. 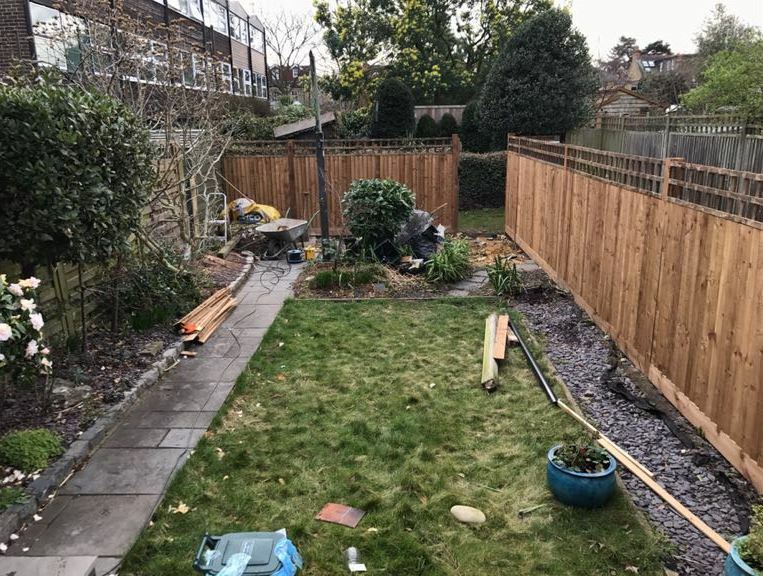 From getting the right design elements right such as building walls, patios, features and decking, through to suggesting the right plants and management of trees, we will completely every job to the highest standards. 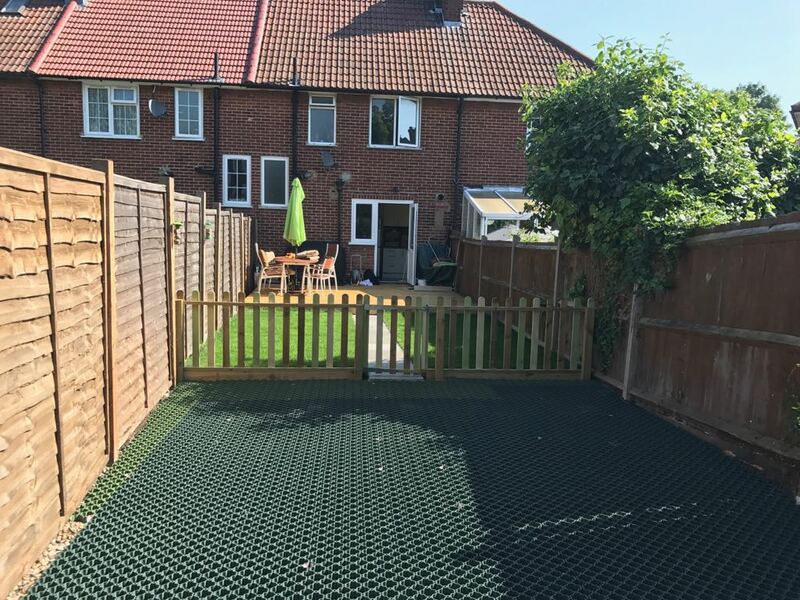 Bring your patio or terrace to life! Whether you want a place where you can sit down with a glass of wine in the evening and relax, a place for your children to play, or somewhere to put a deckchair, so you can enjoy the sun, we have an incredible range of solutions to choose from, to suit every taste and budget. We can help you plan an idea and choose the right solution for you. 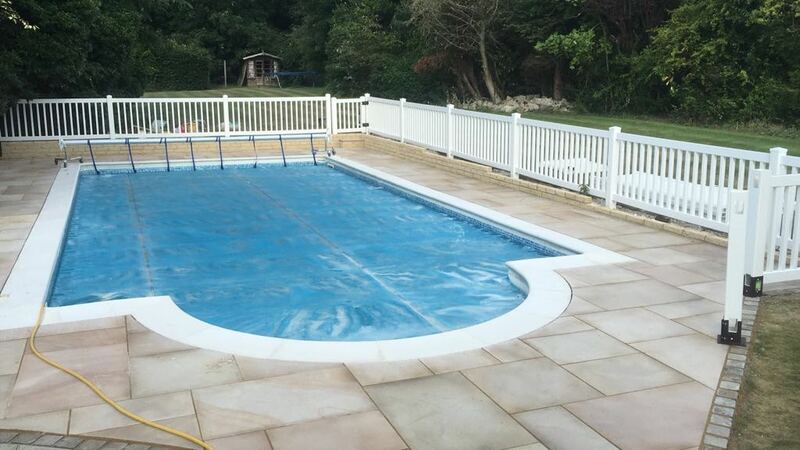 We will always ensure that any new installations are hard-wearing, long-lasting and easy to maintain. 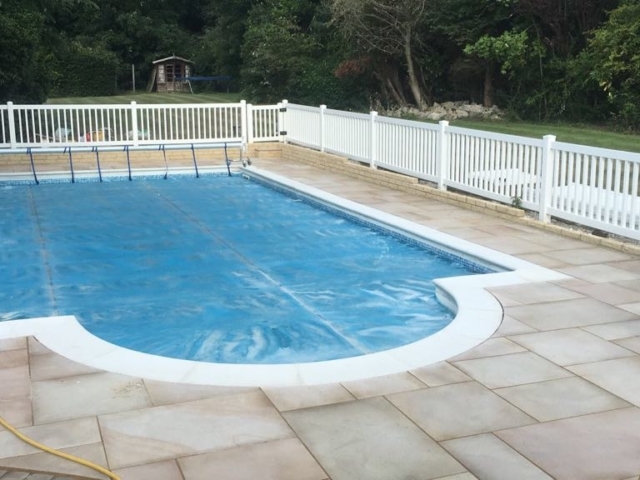 We supply and install a wide range of paving, including sandstone, granite, slate and concrete. 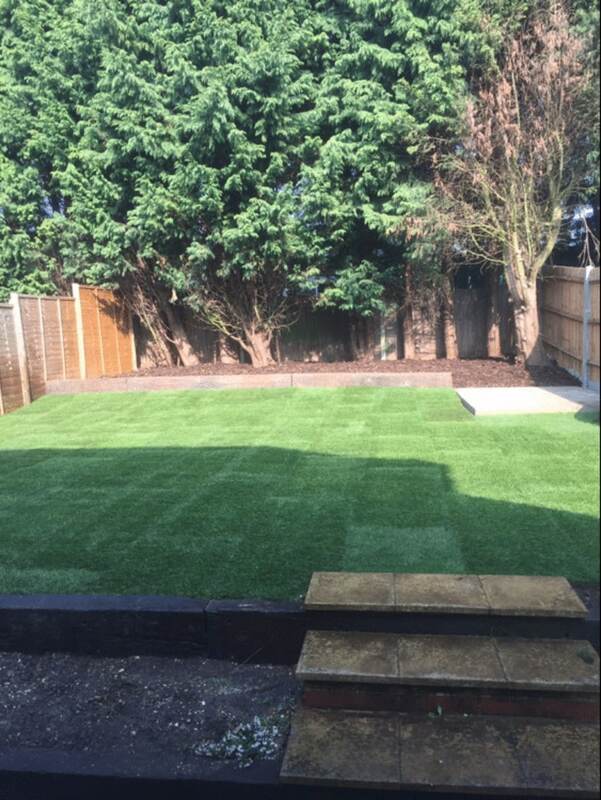 Contact us for a no-obligation quote for landscaping, garden design or tree work in Epsom! 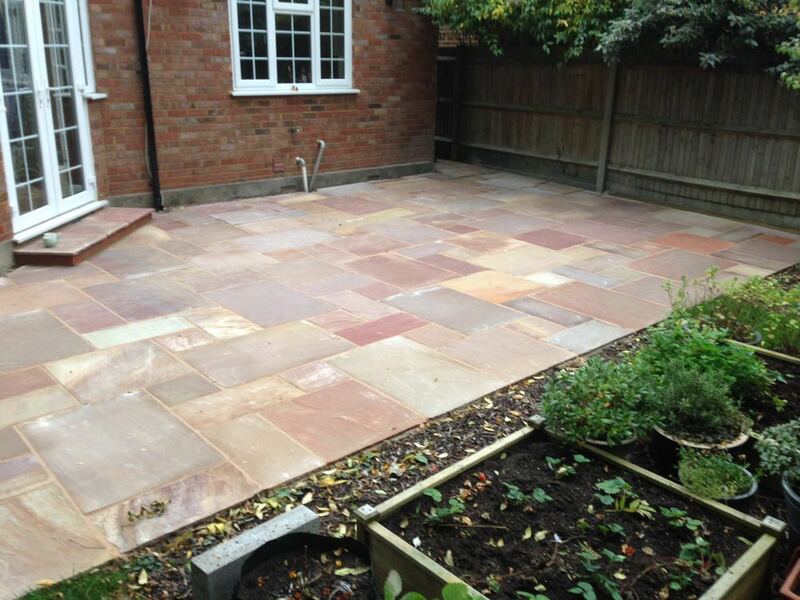 We are always happy to offer a free, no-obligation consultation and quote for any landscaping or other garden work. Why not give us a call on 07780 445079? 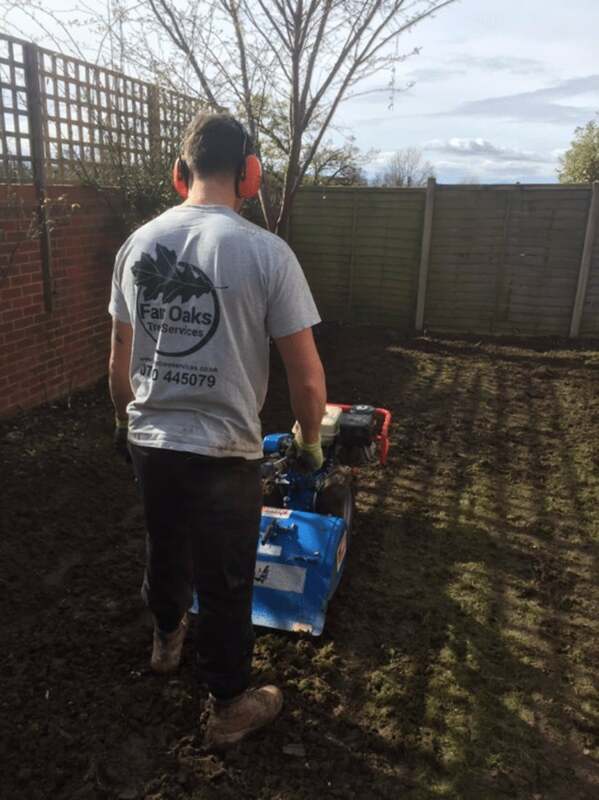 Alternatively we can be reached via email at info@fairoakservices.co.uk or fill in an online enquiry form and we will be in touch. 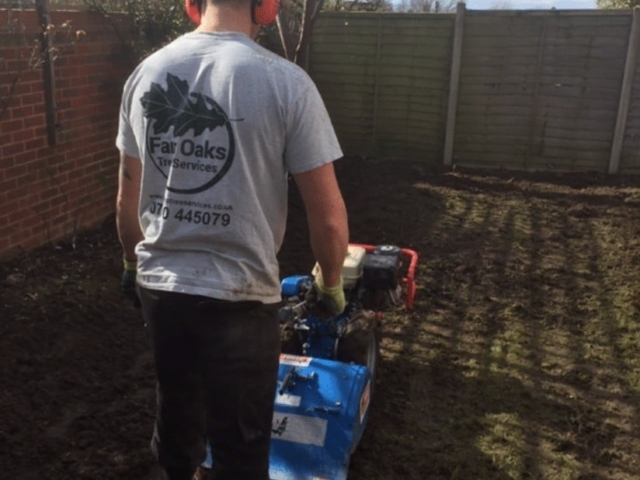 Thanks for your interest in Fair Oaks Tree Services!